In my current life surrounded by mangoes, I meet countless mango lovers who fell head over heels through their excursions around the globe. (I personally discovered mangoes as a little girl in Nicaragua.) The mango embodies flavors of nostalgia, awakening the feeling of those far off exotic places with every bite. The most devout members of this mango lover tribe seem to be those who discovered mangoes while in Thailand. These mango lovers have tasted mangoes with a more dynamic richness and more stages of ripeness than anywhere else in the world. They also seem to be the only mango connoisseurs that know the sweet green mango! 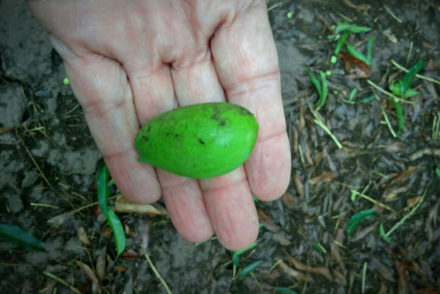 A Thai sweet green mango (Mamuang Kiew Sa Wei) is one of the only varietals worldwide that is sweet when green. Most varietals are bitter and tangy when green, only becoming sweet and producing more sugars as they move toward full ripeness. 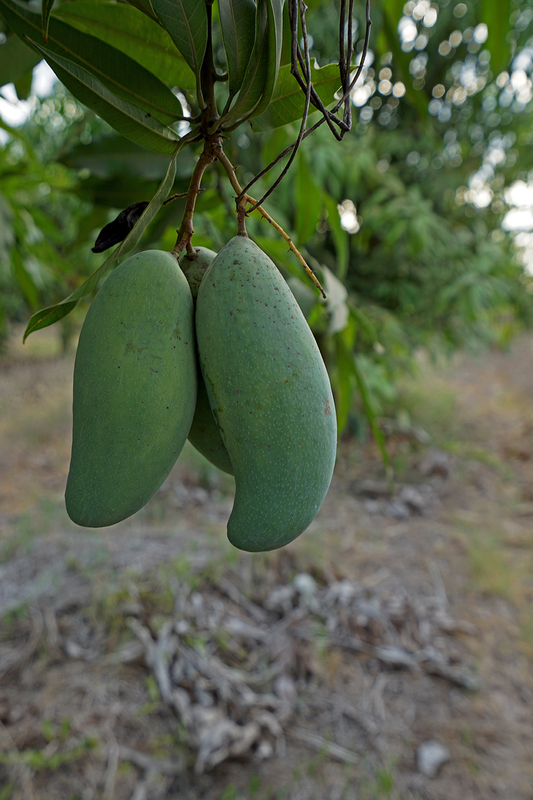 The Thai sweet green mango is a dull green, oblong fruit with a curved and slightly pointed tip. The varietal lacks blush tones and has a ruddy, lackluster skin that can appear a little dirty and ugly. The Thai sweet green mango is extremely crunchy, with nutty and slightly floral notes. 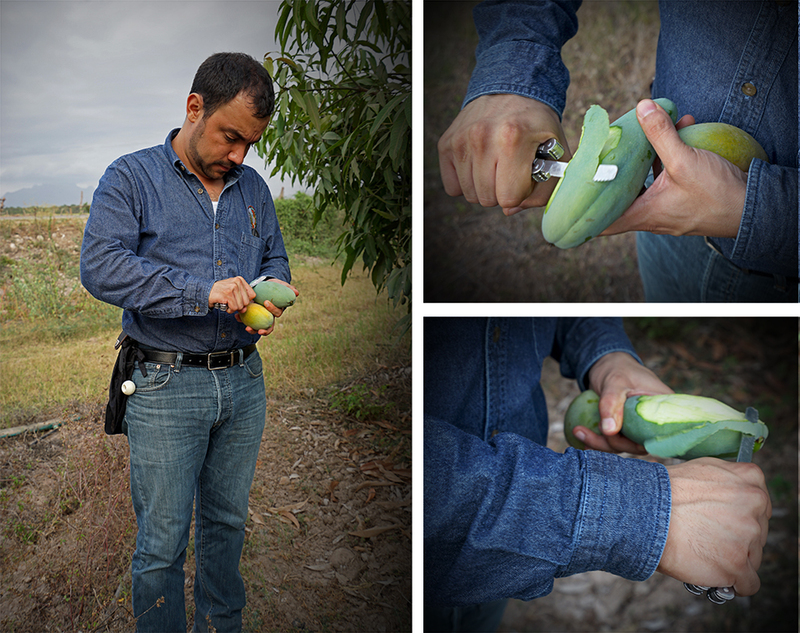 It is not considered a juicy mango, tasting similar to a crisp granny smith apple. 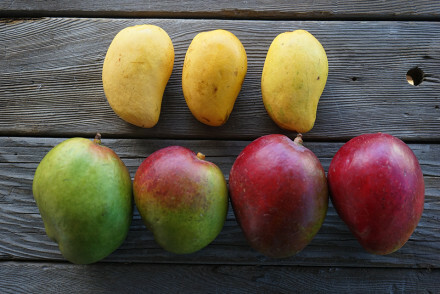 It has one of the most unique, non-tropical flavors of all mangoes. It is best eaten when green or semi-ripe. It will feel hard, with minimal juices, and the flesh may appear yellowish when it’s ready to eat. 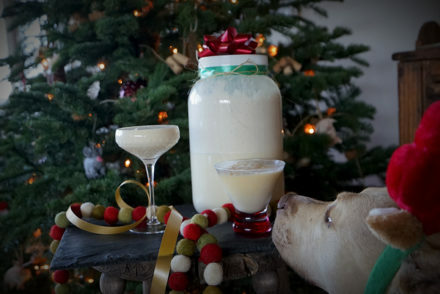 As it ripens, it loses its crisp apple flavor and jumps straight to an overripe tropical taste. 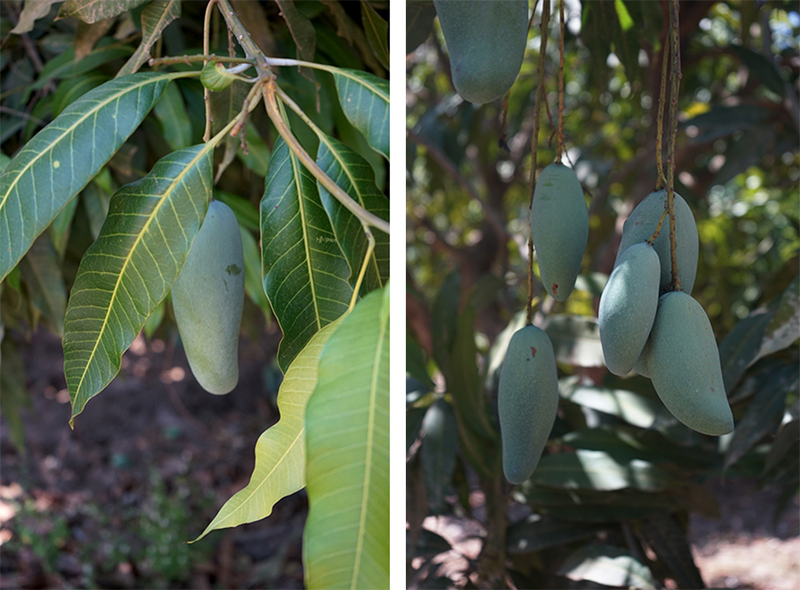 Some people do eat this varietal fully ripe, but not many palettes appreciate the potent taste of overripe mangoes! From the culinary lens, their usage is extremely diverse. Throughout Thailand, they are eaten whole like we eat apples. 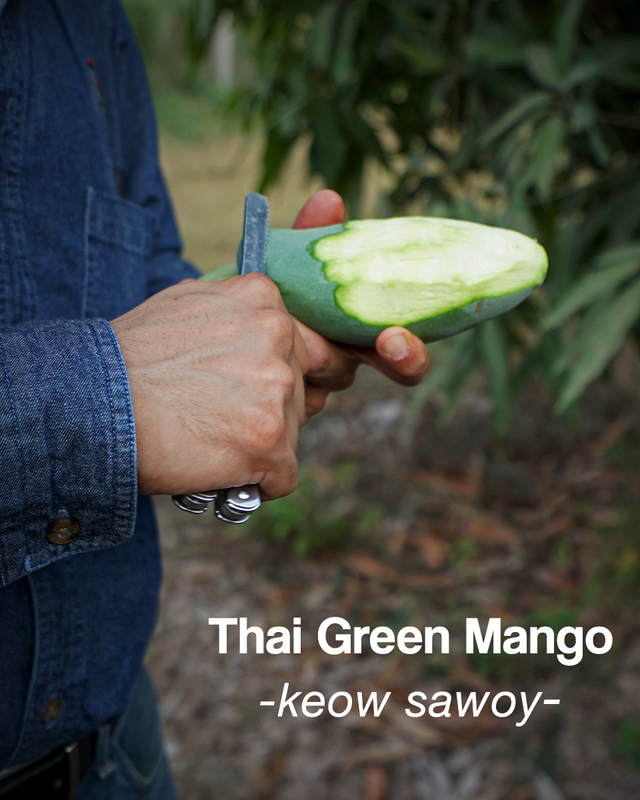 The Thai sweet green mango pairs incredibly well with spicy food, because of the sweetness of the flesh. Thus, they are the “it” mango for spicy dishes like Spicy Green Mango and enjoyed grilled with spicy sauces. Pickling Thai sweet green mangoes, as compared to simply a green mango, gives a sweeter outcome and can be quite delicious. The verdict is out on how to properly store this varietal. Most mangoes do not like to be stored cold. Anything colder than 50-55° F will cause the flesh to turn black. Most of the mango displays in Thailand are outside, so it’s hard to say if they can survive colder temperatures since their flesh is different. I’m going to personally conduct some shelf studies and will report the findings in this post at a later date. My hypothesis is that this varietal can be stored in the refrigerator without flesh damage that might deter ripening. Check back for the results! Keep an eye out for this varietal, and remember it is the only varietal that tastes sweet when green. Use these tips to help you spot the real deal!